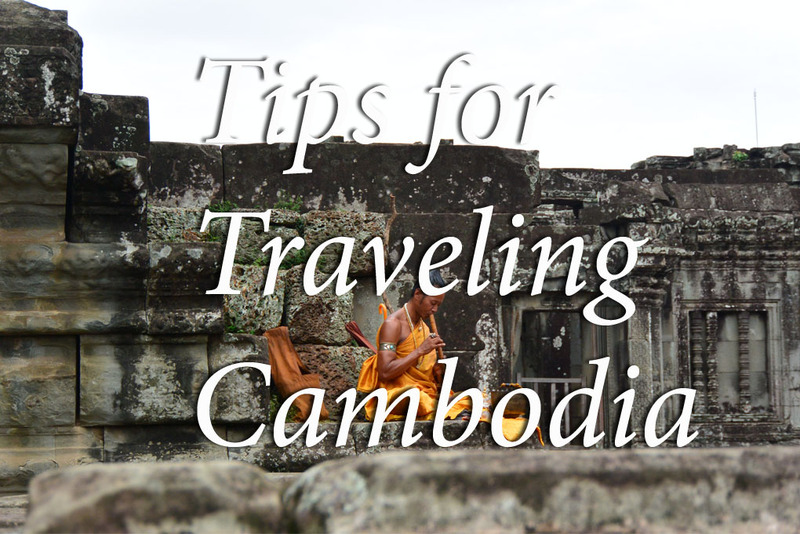 tips for traveling cambodia | loveliness. Clothing– This is mainly for the temples, if you’ll be visiting Angkor, but make sure to bring a thin, white cotton t-shirt, and a sarong. If you don’t, you’ll end up buying a sarong, and a shoulder wrap at the entrance to some of the temples in order to get in. I only brought a black t-shirt, and had my own sarong, and by the end of the day at Angkor I was so hot I just wanted to strip naked and dive into the lake. Which I’m pretty sure would be frowned upon. Another note here, this is not always enforced. I was kind of annoyed to be there completely covered up, because we’d been told on our sunset visit the night before that we wouldn’t be allowed in otherwise, only to see other girls coming in in tank tops and short shorts. It is a religious site, so you shouldn’t be coming in wearing that anyways, but it was soooo hot. You’ll be much more comfortable in just a t-shirt and sarong than if you wear a tank top, and have to spend the whole day with a shawl around your shoulders. Currency– This one is a bit tricky, but bear with me. Unlike Thailand, the US dollar is accepted almost everywhere in Cambodia, if you go to an ATM to get money out, you will get US dollars, not Riel. There is also a fee to change US dollars to Riel, so you’ll be paying an ATM fee, and then another fee at the money exchange. The reason you would want to use Riel, is because sometimes you will end up paying less than you would with US dollars. For example, if a bottle of water is 2000 KHR, but $1 USD is 4000 KHR, if you have USD, they will charge you $1.00, so you’ll end up paying twice as much. Also, exchange rates can vary from store to store, lots of places will have it right on the register that $1 USD is equal to 4100, or 4000 KHR, so sometimes you feel like you are kind of getting the short end of the stick no matter what you do. There is no fee to transfer TBH, or other SEA currency to Riel, so the best advice I can give you is get out as much TBH as you are comfortable with carrying before you cross the border, and then take it to a money exchange once you are in Cambodia, to avoid paying the USD to KHR fee. You’ll still likely end up visiting the ATM once or twice, depending on how long you stay, but you can cut down on your fees a bit by doing it this way. Tuk-tuks– The tuk-tuks in Cambodia are a lot more open than the ones in Thailand, and if you go to the land mine museum, Angkor, the Killing Fields, etc, really anywhere outside of the cities, it can get very dusty, since many of the roads are unpaved. Always bring your sunglasses with you, even if you’re traveling at night, to keep dirt out of your eyes. Sometimes I even wore a sheer scarf over my face for long drives. Night buses– There are a few ways to travel around Cambodia, but the cheapest and easiest is definitely via bus or mini-bus. That being said, the roads in Cambodia are not great. Most of them are unpaved and bumpy, and can get muddy if it’s rained. Also, outside of the city there are no lights on the road, so traveling at night is not the best idea. There are night buses offered at many of the tourist information places, it sounds like a great deal, for around $15USD you can curl up in a full reclining chair with a movie playing, sleep through the night, and wake up at your destination. It’s very attractive because it gives you an extra day to sight-see, instead of spending a whole day on the bus. But I heard over and over again that night buses are very dangerous, and after our experiences with the driving and road conditions in Cambodia, even during the day time, it just doesn’t seem worth it, even to gain a little extra time. Schemes– In addition to the one I mentioned here, another “scheme” to get money out of tourists happens if you’re traveling from Thailand to Cambodia via bus. When we bought our bus ticket, we were told it was about 6 hours from Bangkok to Siem Reap. With transfers, picking up other people, and a stop to get a visa at the border, it was more like 11 hours before we got to the bus terminal in Cambodia where we were supposed to be picked up to go the last hour or so to Siem Reap. Once we got there, we were told the bus to take us wouldn’t be coming for another 3 hours, but if we wanted to chip in together with some of the other people to take a mini-bus, we could leave immediately, and it would also take less time than taking a large bus, because we would be taken directly to our hotels. I’d met a guy at the border, a frequent traveller to Cambodia who told me this is very common, because even though people have already paid for their tickets to get all the way to their hotel, after that many hours on the road, they are usually willing to pay more to get there faster. We caved in and did it, just because we were completely exhausted, and it was another 200 TBH (or $6 USD) per person. It’s up to you whether you pay it or not, but it’s good to be aware either way. Border– One more thing to mention on that, we had no issues crossing into Cambodia, but we did have a guide that told us to be wary of people in uniform at the border. Apparently you can rent police or border guard uniforms anywhere, and people will ask to see your passport or visa, and try to get extra fees out of you. Just like anything else when you’re traveling, be smart, ask questions, and if something doesn’t feel right, don’t ignore it. Pingback: tips for traveling australia | loveliness.